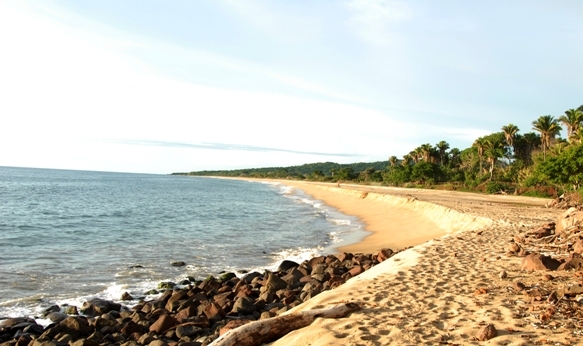 This is another gem in Mexico's Pacific Treasure: Riviera Nayarit. To get to this hidden but amazing spot, you must travel along a narrow path that weaves through the hills starting in the town of El Monteón. 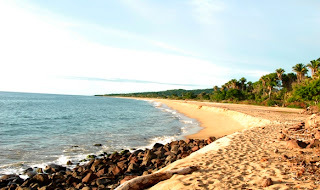 Here begins the magic, for along the two-kilometer (one-mile) hike you will have the opportunity to appreciate exuberant vegetation of the region, giant palm trees that provide protective shade, and a panoramic view of the towns surrounding this beautiful beach with turquoise-blue waters.